This is key to getting through stressful weeks, but it’s far from easy. We all want to be good at everything — the best worker, partner, friend, relative and all-around person we can be. As a result, many of us are guilty of taking on more responsibilities than we can truly handle. When I’m already juggling a crazy schedule, I consider these questions when asked to take on additional commitments: Will this increase my workload or stress level? Am I the only person who can perform this task? Do I have the time necessary to do a good job? Sometimes that means saying no to great opportunities or even fun social events, but it means I can focus my energy on what truly needs my attention. I live and breathe by the to-do list and schedule I have outlined in my daily planner and it should be no different when it comes to my personal time. Whether it’s working out, getting dinner with a friend or just spending 30 minutes vegging out on the couch, when I pencil those activities in on my daily schedule I try to treat them just like everything else on my list: non-negotiable. I try to stick to my post-work schedule because I know spending time sweating or catching up with friends helps relieve stress and makes me feel more energized the following day. 3. Spend Money On Things That Save You Time. This is some of the best advice I’ve ever received. When life is super busy, time is incredibly valuable. I felt guilty last year about hiring some college kids to rake our gigantic backyard, but it took a group of them one hour to do a job that likely would have cost me the entire day. That made it worth every penny and I won’t feel any guilt when I call them up to rake again this fall. If having someone come tidy up your house or occasionally using a meal delivery service means you can spend more time on what matters most to you, it’s probably worth the money. I’m not going to lie, this is what I struggle with most. I use social media so much for work and then often find myself scrolling through Instagram to catch up with friends and bloggers first thing when I get home. What I should be doing instead is picking up a book or spending a few minutes meditating. Our brains actually need breaks from all that stimulation and I’ve found when put my phone more than an arm’s length away I am more present in conversations and generally more relaxed. Social media is also sometimes the last thing you need to be looking at when you’re feeling overwhelmed. Most of us only share the highs of our lives online, which is natural. But it can make it seem like everyone else is living in a happy little bubble when yours feels ready to burst. Asking for help is not a sign of weakness — it’s a sign of strength. No one knows your capabilities better than you and being honest with people upfront about your workload will make the situation easier on everyone. It’s better to ask for help early on than to be facing down a fast-approaching deadline that you aren’t sure you can meet. 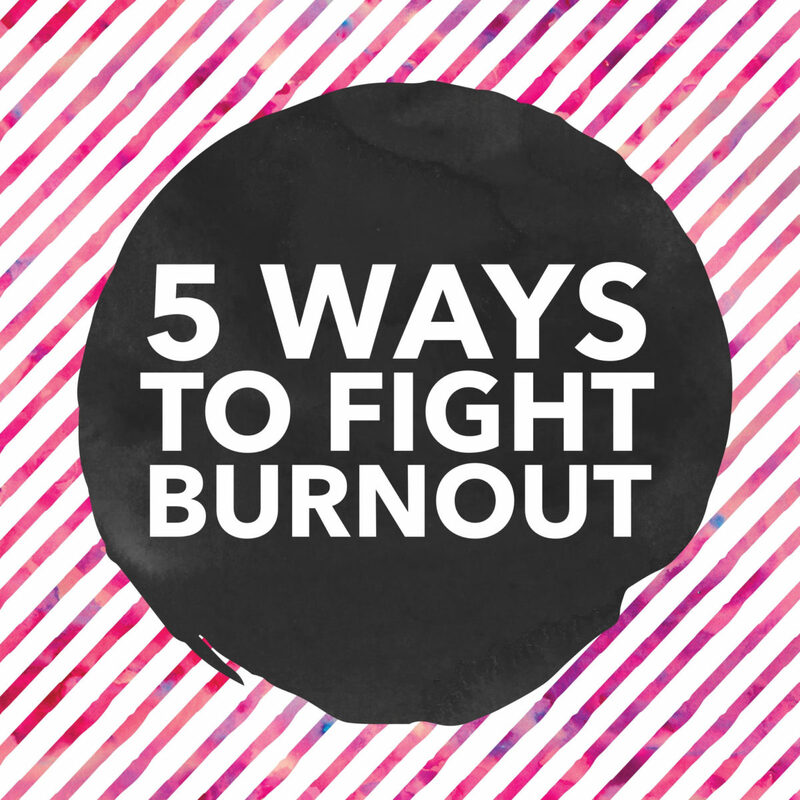 What are your tips for fighting burnout? Tell me in the comments!